There’s a Wells Fargo Bank Philippines, but it’s not operating as a regular bank. It does not do banking transactions like accepting deposits, granting loans or making foreign exchanges. It’s a representative bank, doing only promotions and marketing work for the US-based Wells Fargo Bank. One service that the US-based Wells Fargo Bank offers is remittance from the US to the Philippines. Its service is called Wells Fargo ExpressSend®. First, you go to your Wells Fargo branch and register your recipient in the Philippines. Provide your recipient’s complete name, complete address, phone number (indicate if mobile or landline), bank name and account number if remittance is meant for deposit, bank or remittance company if cash pick-up. After registration, you can then make your first remittance. Use this calculator here to estimate your remittance cost and your remittance amount in pesos. What is the maximum amount that can be sent from the US to the Philippines? In what currency will the recipient receive the remittance? Would you like to work with Wells Fargo in the Philippines? Wells Fargo Enterprise Global Services, LLC-Philippines. It provides business processing, corporate, and information technology services to Wells Fargo’s customers in the US. Hi Al, sorry but there’s no Wells Fargo branch in the Philippines. Citibank is the only US bank that has a branch in the Philippines offering services to both corporate and consumer customers in the Philippines. Bank of America and JP Morgan Chase Bank cater only to corporate and institutional clients. I have check Wells Fargo can I in cash it there in Wells Fargo Makati branch? If not where should I incash it? For deposit i don’t have dollar account in Philippines. Hi Julie, sorry, yong Wells Fargo sa Makati ay representative office lang. Hindi sila nag-o-operate as a regular bank. For promotions lang sila. Kung malaki ang amount, open a US dollar account at BDO or BPI or any other Philippine bank, then ideposit mo ang check mo. Ang usual clearing ng US check ay 3 weeks to one month. Hello, can we request a bank draft payable into Hong Kong dollar for payment of police clearance ?,,please help. Hi Jane, did you mean HK police clearance? This Wells Fargo in the Philippines is not a regular bank. It’s only a representative bank. It does not issue bank drafts. If someone mentioned Wells Fargo bank draft, most probably they mean Wells Fargo in the U.S. If you have a relative or friend in the U.S., maybe you can ask them to lend you money through a bank draft payable in HK dollars and send the draft to you by courier. But this might be impractical if courier cost almost equals your travel cost to HK. I’ve read online that other banks here in the Phils issue only bank drafts in HK dollars if you have been their checking account owner for at least 6 months. Ask your bank where you have maintained an account for a long time, whether savings or checking. Or maybe it’s more practical to just travel to HK to apply for your police clearance. Or maybe you have a trusted friend in HK who also has a checking account with a HK bank. Hi there! If I open a checking account at Wells Fargo ihere n Anchorage Alaska. Can I send money to my BDO dollar account or PNB peso account? Is so, how? Thank you. Hi Maria, yes, checking account is okay, but you can send only to your PNB peso account. It’s Wells Fargo that will convert your dollars into peso. First, visit your nearest Wells Fargo, then, to be sure, ask if they offer ExpressSend. Fill up forms and register your PNB account as your receiver. For your next remittances, you can use your online banking. If you like to send dollars to your BDO dollar account, use the online remittance service Xoom. Xoom allows receipt or credit in dollars. Pwede bang landbank account ditto? 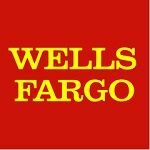 Do you have ATM services for withdrawal of money from your US based Wells Fargo debit card account?